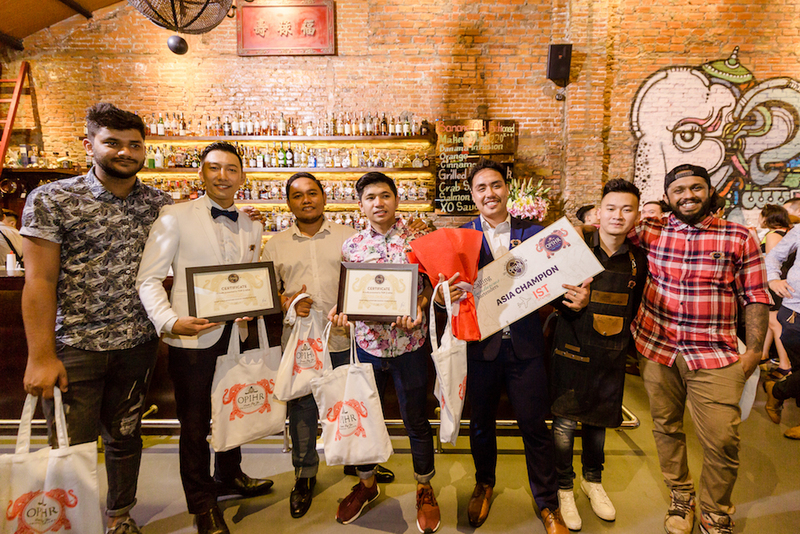 The Asia final of the Ophir Gin World Adventure Cocktail Competition final was held in Ho Chi Minh City recently and featured seven competitors from Malaysia, Indonesia and Vietnam. Last year’s winner, Giri Pancha, along with Mahbub Hasan represented Malaysia; Nehemia Geordhy Caesaro and Villa Surya Andika competed on behalf of Indonesia; and hometown talents, Nguyen Thanh Trung, Kazuaki Nagao and Nguyen Tuan Anh flew the flag for Vietnam. An expert judging panel, comprising of Ben Parton, Opihr Brand Ambassador; Jon Band, Quintessential Brands APAC Regional Director; and Ho Hoang Huy, Beverage Manager of Renkon Restaurant, put the finalists through their paces in a series of challenges that culminated in the crowning of Nguyen Thanh Trung as the Asia Champion. Nguyen will jet off to Morocco later this year to represent the region in the Global Finals. 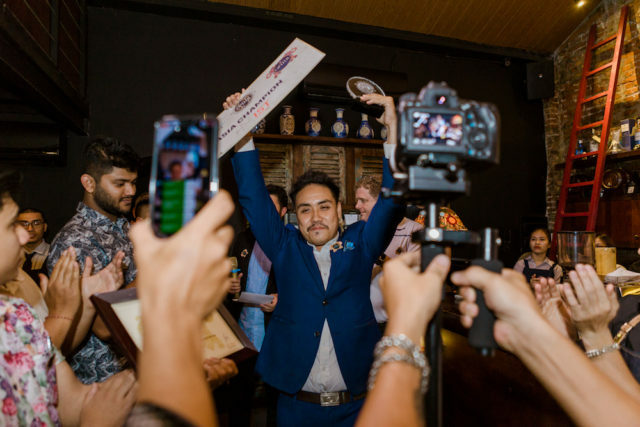 Drinks World sat down with Nguyen to discuss the competition, his winning cocktail and his love of bartending. DRINKS WORLD ASIA: Congratulations on winning the competition. 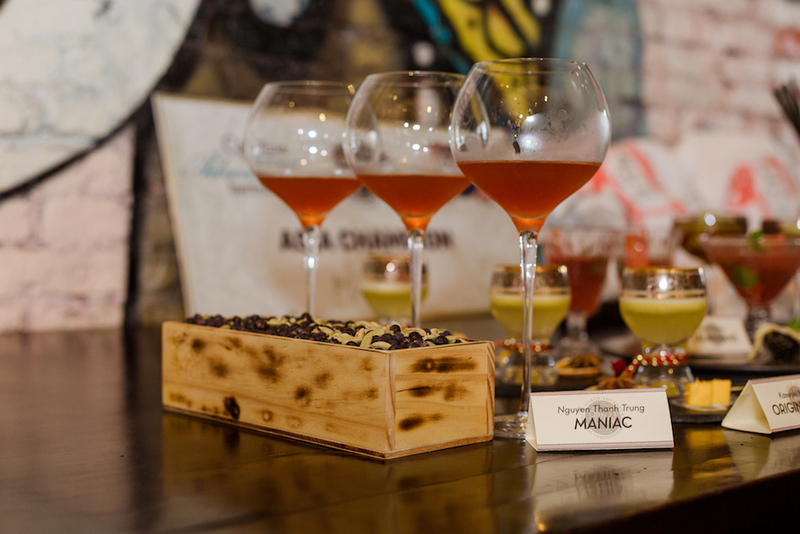 Can you share with us the inspiration behind your cocktail ‘Maniac’, as well as why you love bartending? NGUYEN THANH TRUNG: We have a lot of rules in our life, for example, ‘Coffee should be drunk like this, or gin should be combined like that…’ but where is the creativity in that? We need to break the rules! The reason I made this drink is that I wanted to tackle the most difficult challenge of any beverage expert: making a complex yet balanced drink that fully embraces creativity by mastering three difficult ingredients – spirit, coffee and tea. I have journeyed throughout Vietnam and I have accomplished things I did not even think possible before. Through these travels, I came to realise the one thing I need the most is to see others smile, and so I became a bartender. NTT: My travels were one crazy combination – from south to north, from jungle to urban, from austerity to luxury. This was how the idea for ‘Maniac’ was created. DWA: What were the things that you liked the most in this year’s competition? NTT: The thing I enjoyed the most in this year’s competition was the strong support us bartenders received from Ophir Vietnam (Lighthouse Group – Indochina Company), in particular Ms. Phuong, Mr. Liem and Mr. Long!